New Braunfels continues to shine in the Lone Star State. The region is experiencing an employment boom right now. In addition to solid employment numbers, companies in the area on are also benefiting from new and improved Internet services. 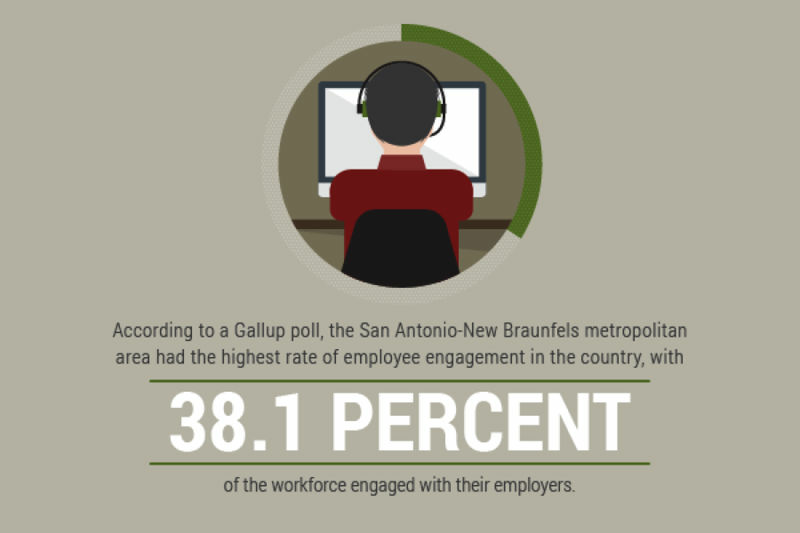 With so many factors working in New Braunfels' favor, there are plenty of reasons for residents to earn a good living and for businesses to expand operations. In several economic categories, New Braunfels consistently ranks near the top for cities across Texas. The region has an unemployment rate much lower than the rest of the state and the national average. Although the national unemployment rate sits at 5.1 percent, and Texas has a 4.4 percent rate as of August, only 3.7 percent of the area’s residents are currently unemployed, according to the Monthly Review of the Texas Economy by the Real Estate Center of Texas A&M University. This is the sixth-best unemployment rate in the state.